Always rocking a pacific and peaceable look on her face with a truly communicable smile caressing the sides of her cheeks, Venessa Villanueva is a woman who is considered in many quarters to be a really compassionate and self-reliant woman. An American actress, Villanueva is known for her work on Memphis Rising: Elvis Returns in 2011. However, she is better recognized as the ex-wife of Chris Perez, one of America’s best-known guitarists. Her marriage to Perez caused some buzz in the media and even caused more buzz when the union crashed. Read on to find out more about her career and her marriage. Venessa Villanueva was born in the United States of America. The exact place and date of her birth are, however, not known. She is an American woman of Mexican origin. This is because her parents are not originally from the USA; they emigrated from Mexico to America and settled there before having their daughter. There is no concrete information on the early life of Villanueva but some reports have indicated that she grew up somewhere in Texas. It is also not certain if she is an only child or if she has siblings. She is quite reserved and loves keeping some things to herself, which makes it quite difficult to find out details about her life. Venessa Villanueva is a name that has been in public space for some time because of her relationship with Chris Perez, but many people do not know the entire details about her romance with the guitarist, Below is all you need to know. All her life, Venessa Villanueva was an unknown woman apparently living a simple life and working in America. However, all that changed when she met with Chris Perez, a popular American guitarist who is also an author and songwriter. He used to play in the Tejano band Selena y Los Dinos, a band that was very popular in the ’90s and was headed by Selena, a legendary American singer. Venessa was introduced to Perez by a mutual friend called John Garza in 1998. At the time, Perez was going through very tough times and battling personal issues. When he met Venessa, he knew that she was the breath of fresh air he needed to get himself back on track. They both fell in love with each other and started dating shortly after their meeting. Venessa Villanueva and Chris Perez dated for about three years before they tied the knot as husband and wife. Before their marriage, the pair shared a lot of lovely moments and were famed to have been head-over-heels in love with each other. According to reports, the couple finally got married in 2001 in a ceremony that was attended by close friends and family. It was a huge step for them and a new chapter in their romance story. 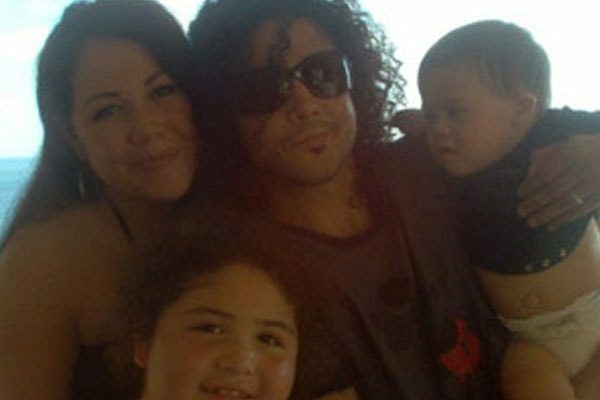 Venessa Villanueva and Chris Perez have two children together; a boy and a girl. Their daughter is called Cassie Perez and their son is called Noah Perez. The pair are both doting parents and are reported to have often gone out of their way to make their kids happy. Despite enjoying great romantic moments together and bonding in marriage, Villanueva and Perez could not stay as a married couple for too long as they soon started having issues. Venessa complained that Chris was always staying out late partying and abandoning his family. He was also said to have been battling drug and alcohol problems. The couple finally filed for divorce in 2008. At the time of their divorce, there were rumors that Venessa did not want the divorce to go ahead because she wanted them to fix their issues. However, the couple decided they could not stay together anymore and had to go their separate ways. When their divorce finally happened, it caught the attention of many people and especially got fans talking about Venessa. This launched her into a new level of fame she did not see coming because everyone wanted to know some more about the woman getting a divorce from Chris Perez. After finalizing divorce proceedings, Venessa Villanueva ventured into acting. She featured in two movies for which she got some praise; Memphis Rising: Elvis Returns in 2011 and Forgotten Memories in 2015. Before he married Villanueva, Chris Perez was married to Selena, another of America’s legendary musicians. At the time of their marriage, he was playing as a guitarist in a popular band headlined by Selena. They fell in love and dated for while before finally exchanging vows in 1992. However, they did not stay married for too long as they divorced in 1995. On the 31st of March 1995, Selena was shot and killed at her hotel room. The murder really upset Chris and left him depressed. He could not eat for some days and had to be consoled by close friends and family.